What makes AR Crème different? AR Crème is made with all natural ingredients and considered an "Over the Counter" product for treating ACNE by the FDA. Another interesting fact about AR Crème is how it is made. Unlike commercial skin preparations AR Crème is made fresh in very small batches. The ingredients used are the highest quality.  AR Crème requires no lengthy daily regimen. The scientists who formulated this product exclusively for us hold several patents on skin care formulas that are used successfully worldwide. We are truly fortunate to have their extraordinary knowledge, their patented technology and such an exciting acne treatment. I suggest starting with the smaller .5 ounce size AR Crème. If you are using this strictly on your face the .5 ounce size should last about 6 weeks. Use AR Crème very sparingly. More is not better with this product. You may feel cooling and tingling when first applied. We suggest that you start with a ‘spot test’ on your face. Do not apply over your entire face the first day. Start with a small part of your face such as the chin area. Remember, you may experience a flaring or increase in blemishes the first several days. This may not be the most pleasant time for you, but your reward will be that you will clear up your acne blemishes. This is why we suggest a spot test. Start in a small area so that you know what to expect. During the first week of use you may experience some exfoliation of your skin. This is a normal process and will subside. Clear, healthy skin will soon appear. DO NOT GIVE UP! Read the testimonials submitted by our customers. It took time, but they’re thrilled with the results. How much AR Crème will I need? If you are using AR Crème only on your face we suggest starting with the .5 ounce jar. This should last about 6 weeks. Remember, apply sparingly…more is not better with this product! How do I use AR Crème? Because AR Crème is a one-step program you can apply the cream to a clean face before bedtime or in the morning. Some people use AR Crème twice a day, but you can decide the amount needed after several days of use. Apply a very small amount on your test area. Massage gently into the skin until the cream disappears. After your face has cleared you may need to use AR Crème every second or third day to maintain your healthy skin. 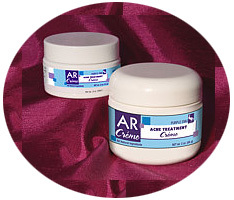 AR Crème clears up acne blemishes, acne pimples, blackheads and whiteheads and allows the skin to heal. The cream penetrates through the pores to control and help keep skin clear of new acne blemishes, pimples, blackheads and whiteheads. AR Crème is in the form of a water-soluble triple emulsion produced by a new US patented technology which enhances “through-the-skin” penetration of active ingredients. This technology eliminates the need for unfriendly chemical cream-formation agents which block the skin’s pores and may irritate the skin. AR Crème is made fresh in very small batches of the highest quality ingredients available worldwide. AR Crème contains pure micro-encapsulated sulfur (mineral) as its active ingredient and also contains plant oils, herbal extracts and zinc oxide (mineral). AR Crème contains sulfur, which was known for ages as an effective treatment against acne. Topical sulfur kills various strains of bacteria (which cause acne), fungus, parasites and other types of micro-organisms. The sulfur in AR Crème is in the purest form, not in supplement form. The sulfur is micro-encapsulated into a water-soluble emulsion (cream) with skin penetrating properties. The moisturizing and healing effects of the other ingredients in AR Crème prevent the drying of the skin and promote faster healing.